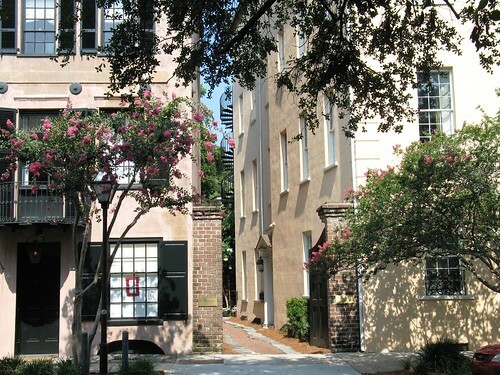 Charleston, South Carolina is on the east coast of this smallish state, and the city is possibly second only to Myrtle Beach in terms of popularity with travellers. Charleston is one of America’s oldest cities, and is steeped in history – where slaves once worked the grounds, a battleground in several wars, and thankfully, some of the best preserved architecture on the entire East Coast. History is almost everywhere, if you know where to look. One of the most interesting aspects of history in Charleston is the architecture. Really, it’s some of the oldest and best kept I’ve seen in the States, and much of it reminds me of old medieval towns in Europe. Some of the unique architecture is very functional – for example, those huge porches (called piazzas) are actually to block the sun from home windows, and of course give home-owners a place to sit outside shaded. Other parts of the history are a little more, er, circumstantial – Charleston has been attacked so many times, and today you’ll find that canon balls are actually used as an architectural design piece. Yes, really – keep your eyes open. I highly recommend you take the Charleston Photography Tour with Joyce Aungst. Even if you aren’t a photographer, I think Joyce has a gift for really highlighting the best bits of the city. Slavery was rife in South Carolina, and it was the slaves that helped run plantations that made Charleston one of the wealthiest cities of the original American colonies. It also made all of that incredible architecture happen in downtown Charleston. 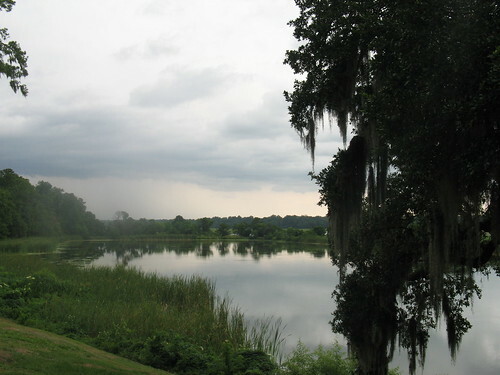 Middleton Place – has a great tour of a small portion of the old manor home (the larger home is in ruins), as well as a fantastic inn where you can spend the night on the grounds. I think once you visit a plantation and hear how things operated, you’ll have a different perspective on slavery in general. Not to say that slavery was right of course, but I think the story is a little more complex than I had anticipated. Worth learning more, without a doubt. 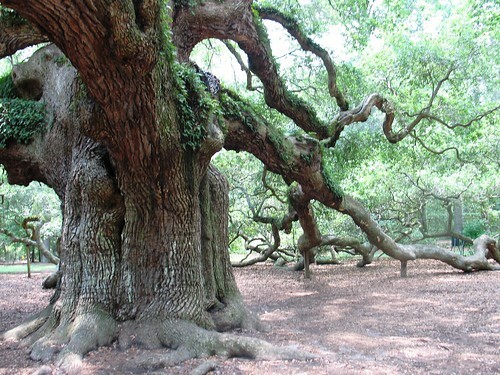 One last stop for you history buffs is off to one of the islands surrounding the Charleston Peninsula, where you’ll find the beauty pictured above – the Angel Oak. It’s so huge, I am pretty sure you’d need at least 10 people holding hands to make a full circle around the main trunk, but the lower arms of the tree are so huge and heavy they extend out onto the ground in all directions. They say this tree is over 1,500 years old. She’s worth paying a visit to. All other photos: Copyright Andy Hayes.